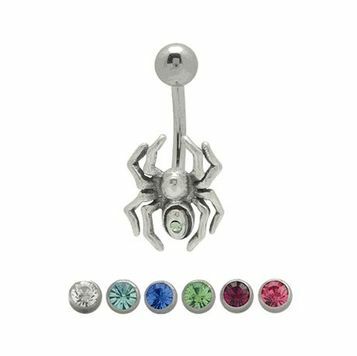 This is a cool sterling silver spider belly button ring. Feature a sparkling cz gem on it's back and a 316L surgical steel shaft. Cz jewel available in variety of colors. Size measures 14 gauge and length 10mm (3/8" inch).